friends and family relax in comfort while enjoying cocktail and snacks on this Malibu Outdoor Patio Wooden Garden Bench with the full-back, sounds perfect! Made from 100% Eucalyptus. Comes in the beautiful Natural Wood Finish, this will be a great addition to your outdoor patio! 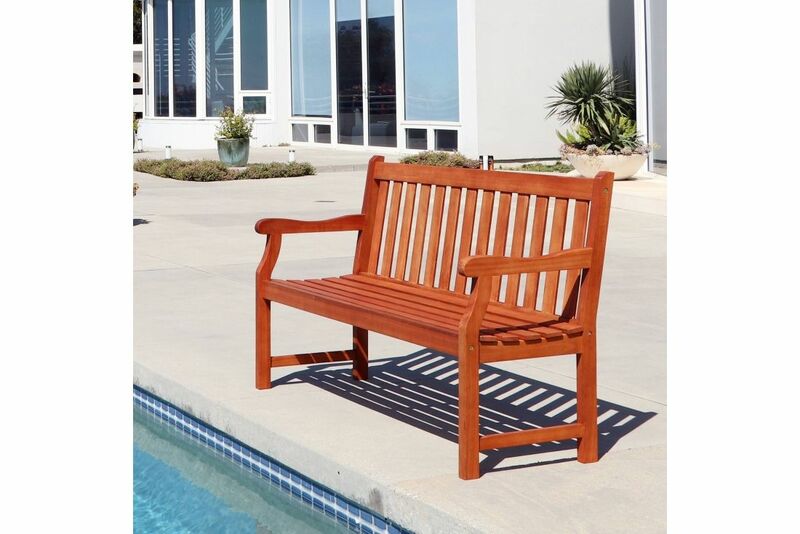 a very durable Hardwood, this bench can stand up to all kinds of changes in the weather. The pores of the Eucalyptus is very dense. Contoured seat, slatted back design and curved armrests.